Mrs. Kelly awoke Christmas Eve morning to WGN radio on her alarm clock. She shuffled to the kitchen and made a pot of coffee. Sitting alone at the kitchen table, she remembered Christmas Eves past. She could recall the children bouncing off the walls almost as soon as they got out of bed waiting for night to come so they could go back to bed and get up for Christmas morning. She remembered Harold getting up, grumbling his way through the morning’s first two cups of coffee and first three or four cigarettes. Then he’d announce to the kids that it was time to get dressed. The kids would immediately rush upstairs to their bedrooms and change out of their pajamas and into the day’s clothing. Once dressed and back downstairs they would tug at Harold’s arm begging to head out to the stores for the day. It was their annual tradition. Harold thought it important to include the children in the shopping for their mother’s Christmas presents since it was they who benefitted most from her hard work and sacrifice. He’d finish off his coffee and take a last drag from his cigarette, then he’d head off to the bedroom to get dressed in his cleanest white t-shirt and a pair of brown polyester pants for a day at the department stores. He’d take the kids to Sears and they would shop for dresses and slacks and scarfs for their mother. Mrs. Kelly didn’t know it, but Harold saved a few bucks a week all year long for her Christmas present. Whereas Jack shopped on Christmas Eve because he liked the fun of the spontaneity of it, Harold Kelly shopped on Christmas Eve because that was when he finally had saved enough money to give his wife a proper Christmas. Along with his yearlong savings, each child contributed a little from his/her allowance. Money that, upon their father’s orders, they were supposed to have been saving for their mother’s Christmas since August. From there, they would take the bus to the Ideal Pastry bakery where they would buy their mother her favorite cookies and donuts, plus a cookie for each kid. After that, he’d take them to the Irish Imports Shop, where they would usually purchase a record of Irish songs like the ones Mrs. Kelly’s parents would sing when she was a child. Her folks had both been born in Ireland and met here in the States. While little Irene was growing up, her parents would play songs from the homeland and dance around the front room of their one-bedroom apartment with their little girl. Mrs. Kelly didn’t know what happened to those records after her parents died, but every Christmas Harold would surprise her with a record album of the songs of her youth. Harold was a stickler for tradition, and so, there was never an artificial tree in the Kelly residence, and there was no tree in the Kelly residence until Christmas Eve. So after the Irish Imports shop, it was straight to the C-Davis Truck Rental lot, where the trucks had been temporarily replaced by Christmas Trees, to choose the perfect tree for the Kelly family Christmas. Mrs. Kelly often wondered if it was truly tradition motivating her husband to shop for trees on Christmas Eve or if it was the fact that he could haggle the salesman down so easily at such a late date. The pickings were scarcer, but you couldn’t beat the price and he always managed to bring home a tree that, once decorated at least, would be brilliant. She smiled a bitter-sweet smile as she conjured up the vision of her husband dragging a six foot tall Christmas tree onto a city bus with children in tow dragging shopping bags from Sears and the Irish Imports, bumping into other riders, needles flying and falling off the tree throughout the bus, bags and packages bumping against knees and seats. It was no wonder she never got a porcelain tea set or Waterford crystal for Christmas, it never would’ve survived the journey. Once home, the children would run the shopping bags up to their rooms where they’d wrap them while Harold took the tree and a hacksaw to the yard and sawed off the bottom few inches. She could see him in her mind’s eye out there in the dark snowy yard in his work boots, polyester pants and plaid winter coat sawing off those few inches of tree trunk so that the fresh cut could soak up enough water to make the tree last until the Feast of the Epiphany when it would finally be taken down and the Christmas Season would officially end. Next came the annual hour of Harold lighting the tree, mumbling words not appropriate for such a sacred Holiday, as he fought with tangles and burned out bulbs and flashing strands that had never flashed before. Then, with the tree firmly placed in its stand and fully lit, Harold sipping from a fresh brewed cup of coffee (with a three count splash of Jameson), and enjoying a well-earned cigarette after a long day of children, store-clerks, crowds, tree salesmen, and those goddamn Christmas lights. Then Mother was presented with one record from the Irish Imports (the others to be saved for the morning). The sounds of the Emerald Isle would play on the phonograph as the children decorated the tree with the family ornaments Mrs. Kelly had brought up from the basement while they were out shopping. With the kids in bed, the stockings stuffed, and the presents beneath the tree, Harold and Irene Kelly would slip off to bed where it was time for another Christmas Eve tradition. Both of them bursting with love – love for their family, love for their blessings, love for their Savior, and love for each other – they would nestle in beneath the covers, legs rubbing the other’s to produce some warmth, arms wrapped around the other, bodies pressed together, they would embrace and envelope each other in a physical love that only years of marriage can invoke. That well practiced tradition complete, they would both settle in to drift off into a solid slumber. 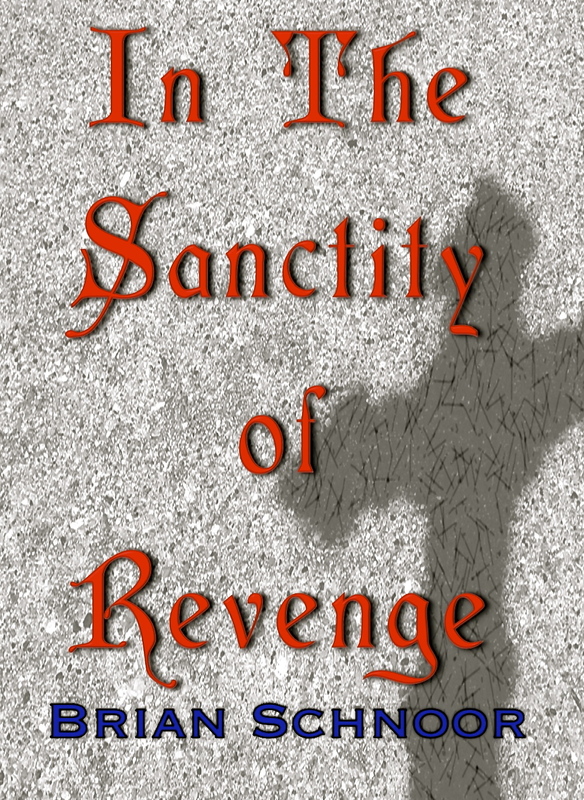 In The Sanctity of Revenge can be purchased at Amazon. If you buy a paperback, you get a free Kindle version. This entry was tagged Books, childhood, Christmas, Christmas Eve, Christmas Past, Fiction, In The Sanctity of Revenge, Nostalgia, Novel, Self Publish, Tradition. Bookmark the permalink.